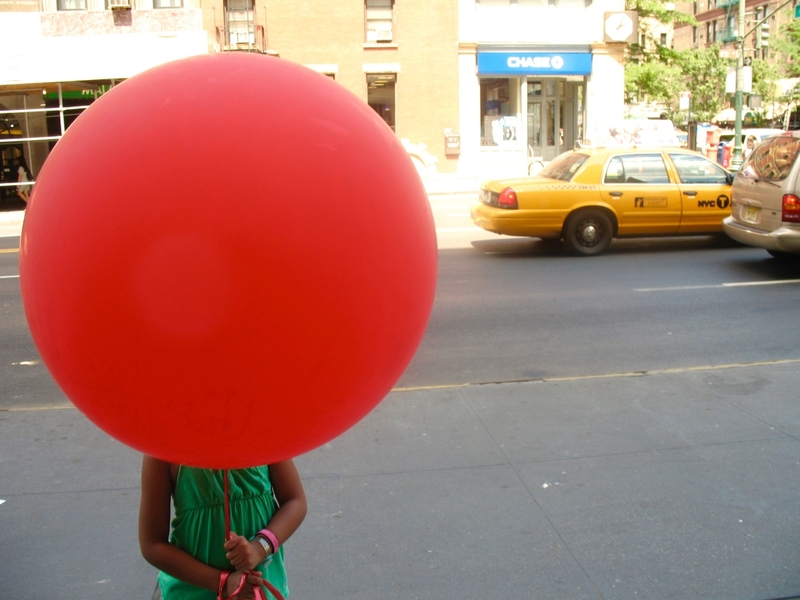 Walking through Central Park with my kids, we came upon the end of a photo shoot and one of the cameramen offered my daughter a really really big red balloon. She took the balloon and I tied it around her wrist. We continued walking through Central Park and the Upper Westside and the balloon led the way. Children were speechless and wanted to touch it. One of our favorite “wow” looks came from a dog. Everyone smiled or laughed. Of course we got many references to The Red Balloon and in a serendipitous bathroom stop at Barnes & Noble, we saw the book on display and bought a copy. However being in the presence of such greatness wasn’t easy or without cost. We had to wrangle it into small doorways and make sure we didn’t topple product displays in stores. When we ate in narrow restaurants, we tied it up outside, anxiously watching from the window. Treetops and low awnings were our enemies. By now we realized that we were not just Balloon Handlers, but in fact Ambassadors of Joy. The task and subsequent lessons were not lost on us. 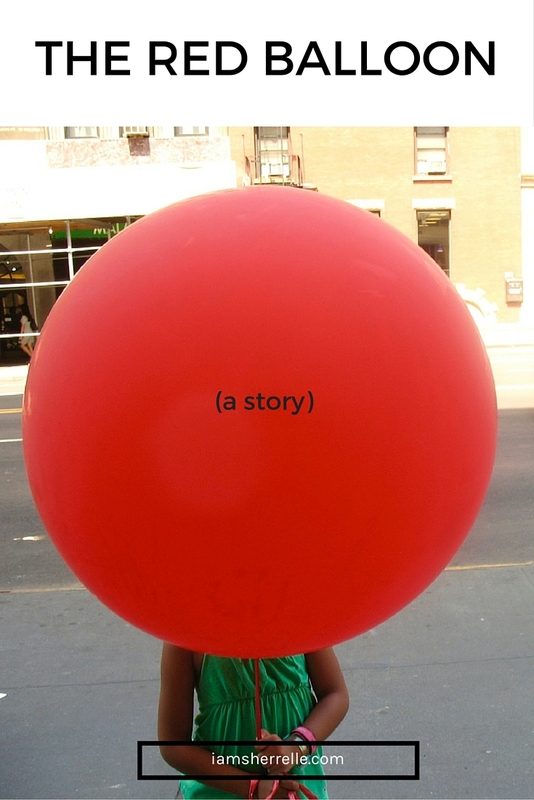 We were given this simple, yet incredible balloon, not knowing how many people it would touch, and how much laughter it would bring on an ordinary Friday in New York City. P.S. You may also like to read The Old Man And The Pug.